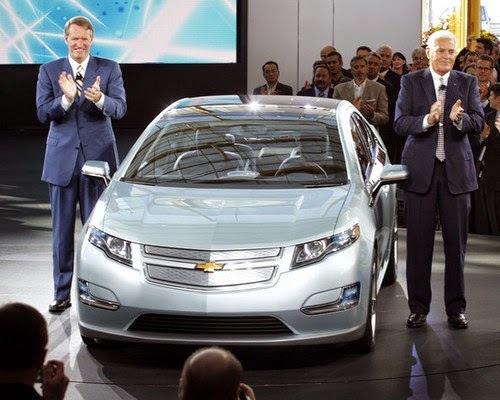 GM’s former Chairman, Bob Lutz, blasts the right wing media for lying about the Chevy Volt. Yesterday Forbes published an op-ed piece from GM’s former CEO, Bob Lutz defending the Chevy Volt and calling on certain right wing media outlets to focus on telling the truth, rather than concocting lies. One wonders after reading his piece whether the Republican Party believes in that Communist strategy that the ends justify the means? Lutz, the Father of the Chevy Volt, has a legacy to defend in that he led the charge (grin) within GM to develop the Chevy Volt. 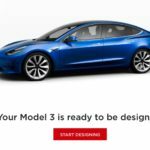 In part the op-ed, “Chevy Volt And The Wrong-Headed Right,” exists to defend his reputation, but along the way he points to a narrative in right wing media attacking the Volt with falsified stories full of fake claims that are embarrassing to anybody who wants to see the truth prevail. For a couple years now there have been varying levels of attack against the Chevy Volt and other electric cars, with the attacks intensifying since November’s revelation that a single Chevy Volt caught fire following a crash test in NHTSA’s New Car Assessment Program (NCAP). An example of these attackers is Rush Limbaugh who has, several times, launched into rambling attacks on the Volt filled with half truths, innuendo, and lies such as the idea that the Volt can only go 35 miles total (truth: the gasoline engine gives the Volt effectively infinite range so long as gasoline stations are nearby). Limbaugh has such a long-running reputation for misinformation that one would think he’d be regarded as a comedian rather than as a legitimate news source, but try saying that to his legion of loyal fans. Another example cited by Lutz is a report by Lou Dobbs saying “It doesn’t go fast and go far on electricity. What happens is it catches fire,” and that all “Volts catch fire, and therefore all Volts have been recalled.” Anybody who has read truthful reporting of the Chevy Volt fire controversy, or knows the design and specifications of the Volt, knows these statements are utter lies. Lutz characterizes the spin created by the right wing media as: Much air time was spent on the $50 billion-plus bailout, which, the audience was left to assume, “funded” the Volt, doubtlessly at the whim of Obama’s known army of evil enviro-Nazis, intent on forcing vehicle electrification on a good-ole’-boy, V8-lovin’ populace. What does Lutz say is the truth? Not one Chevrolet Volt has ever caught fire in normal use or in accidents. Not a single one. In the NHTSA crash testing there was one Chevy Volt which caught fire, and there were a couple battery packs which caught fire when tested in isolation. GM and the NHTSA say that no Volt’s have caught fire after crashes in normal use. That much is true, and was part of the NHTSA’s final report released last week. 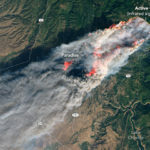 However those who have closely followed the news know that two or three Chevy Volt’s were in garages that caught fire, leading some to wonder if the Volt’s had caused those fires. 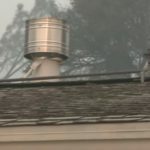 In each case local fire officials and others studied the fires and concluded none of those fires were caused by the Chevy Volt sitting in the garage. popular conclusion that these government bureaucrats are incompetent nincompoops (as many are likely to do). As we’ll see in the next point, the fire risk is low to nonexistent. The NHTSA had test results showing excellent crash-safety, and they had a single fire. In June/July knew of the fire, but did not know whether it was a fluke, and it took several months of intense forensic investigation to discover the cause of that fire. It would have been irresponsible, perhaps illegal, for the NHTSA to cry alarm before being certain there was a real risk. The crashed Volt, its battery shorted by coolant from the period unjustifiably spent “feet up,” caught fire three weeks after said test. (I submit that this would provide adequate time for surviving passengers to exit the vehicle.) As we just said, the fire risk is low in that the design flaw requires a specific sort of crash to trigger the conditions for fire. The NHTSA and GM were unable to replicate the fire in subsequent crash tests, even after they had identified the design flaw. What Lutz means when he says “battery shorted by coolant from the period unjustifiably spent ‘feet up,'” is that the NHTSA crash test procedure includes strapping the crashed vehicle on a large platform that’s then turned upside down and held there for five minutes. The test is meant to simulate rollover crashes and the resulting sloshing around of fluids. That there was only one single instance of fire in a crash tested Volt, after several crash tests, demonstrates the low risk from this design flaw. What then of the two battery packs that caught fire during November’s testing? GM’s CEO Akerson characterized those tests as having “doused the pack in coolant ” as if those tests were even more artificial than the original crash test. On average, 278,000 cars with gasoline engines caught fire in the U.S. each year between 2003 and 2007, according to the National Fire Protection Association. 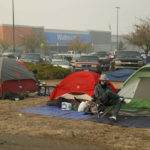 Indeed, why isn’t there a similarly loud hue and cry over this destruction of property that occurs every year, not to mention the hundreds of deaths resulting from these car fires? Why is so much emphasis placed on the Volt and its supposed risks when those risks are so minimal? No factory-produced electric vehicle has ever caught fire, to the best of my knowledge. This isn’t entirely accurate, so let’s take a tour through some history. 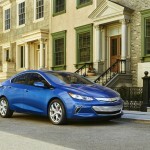 First there is the Chevy Volt that caught fire after last summer’s NHTSA crash, the one that’s causing this hullabaloo. That’s clearly a factory built electric car that, well, caught fire. But we’re supposed to consider that Lutz has already dismissed that fire as having occurred under extreme conditions. There is an earlier example where two or three EV1’s caught fire while being charged. Maybe Lutz would say those cars weren’t built in a factory, but in some kind of limited production prototyping facility instead? The culprit in the EV1 fires was found to be bad design in the on-board charging circuits, which GM fixed and sent those cars back out to lease holders. An important point to consider is that gasoline cars carry a tank full of explosive liquid. Electric cars do not. Except that the Chevy Volt is a hybrid car having both a battery pack and a gasoline tank. The Volt, the most technologically advanced car on the planet, was conceived by me and my team well before any federal bailout of GM. While the Volt is a technology advanced car, the word “most” here is debatable. What is true is that GM began the project well before the Obama Administration came along. The truth is that the Bush Administration gave strong support for developing advanced technology (electric) vehicles that would reduce oil dependency and environmental consequences. In Bush43’s 2006 State of the Union Address he famously said “America is addicted to oil” before launching into his laundry list of programs he promised would address the U.S. oil dependency and transportation sector environmental impact. Among the Bush43 era programs was the Advanced Technology Vehicles Manufacturing (ATVM) Loan Program which was a direct loan program funded by Congress in the fall of 2008 that provide loans to U.S. automakers funding projects to help the U.S. meet higher mileage requirements and lessen U.S. dependence on foreign oil. Another program, the Energy Improvement and Extension Act of 2008, was the origin of the $7,500 tax credit for electric cars. When the right wing political leaders and right wing media say that support for electric car development is Obama’s program, they are denying the factual history. It’s a fact that the Bush43 Administration and several earlier Administrations enacted loan, and grant and tax incentive programs to assist development of various clean energy technologies including electric cars. It’s a fact that general concept of government loans or grants or tax incentives for businesses spans back over decades or longer, and is a tool used by governments around the world. Yes, some of the electric vehicle programs were enacted during Obama’s term (the American Clean Energy and Security Act of 2009 and the American Recovery and Reinvestment Act of 2009) but the general concept of incentivizing clean technology predates the Obama Administration. If it is wrong for the Obama Administration to follow this general strategy, then it was wrong for every previous Administration to follow the same pattern. Yet somehow it is the Obama Administration upon whom the ire is being heaped. What we have are Republican leaders and right wing media who is creating fictional news reporting about the Chevy Volt in an obvious attempt to damage the Obama Administration. Lutz asks us why is it okay when the right wing media spreads false information, damages “the reputation of perhaps the finest piece of mechanical technology our country has produced since the space shuttle”, hurts “an iconic American company that is roaring back to global pre-eminence”, or hurts the employment created by that iconic American company? Battery fires, Chevy Volt, EV Politics. Bookmark.